DPR Motorsport has launched a new at-circuit media video centre to allow team drivers to share data and videos through a central media server. This new facility allows rapid upload of data and videos for all of the DPR team drivers after each on track session with the videos and data files accessed wirelessly from a laptop, tablet or smart phone. As part of a stand-alone test day and over a race weekend, DPR Motorsport team drivers are able to share video and data after each session on-track. Systems such as the Video VBOX provide a video record to enable drivers to understand how best to improve lap times and gain those vital hundredths of a second through optimising braking and turning points. Due to the tightly controlled nature of Caterham motorsport both the car set-up and driver need to be 100%. DPR Motorsport provides an at-circuit video media centre to allow team drivers to fully exploit the insights provided by the Video VBOX technology. Gaining the most from test days is all important as on-track time is always limited. The DPR video media centre has been designed to allow rapid uploads of both data and video after completion of each test session. A high speed card reader transfers large amounts of video data through a gigabit capable Ethernet link. Typically the data transfer will complete within a minute for each driver. Even with a team size of five drivers, all the videos will be available without delay almost immediately after the end of the test session. Each driver will be able to access his video and data wirelessly from his personal laptop, iPad or iPhone. 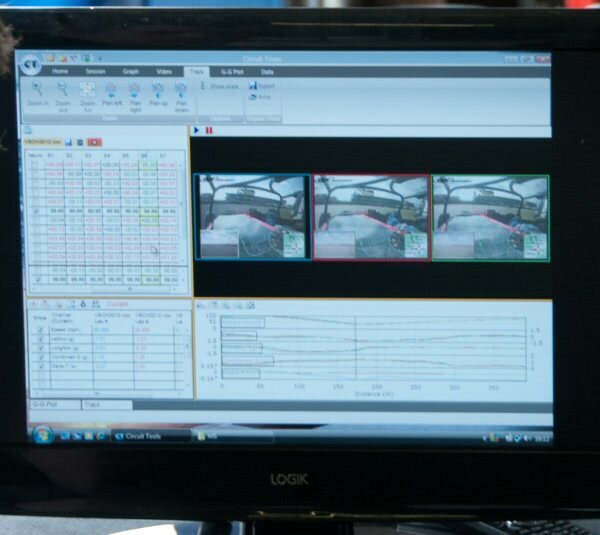 The driver together with his coach is able to view not only his own data and videos but also compare his own results to those of his fellow team members. DPR Team Principal David Rowe said Within DPR we have always focused on in-depth technical support that is so critical for such competitive racing as is present in this championship. For this year we have stepped up our use of the Video VBOX through employing a dedicated data specialist to work with our team drivers. Our new media video centre is a logical and significant step forward by providing rapid access to video and data for individual drivers. The ability to compare results across all of our team drivers so quickly after completion of on-track sessions will enable us to better understand setup changes and provide much enhanced feedback from which all of our team drivers can benefit.